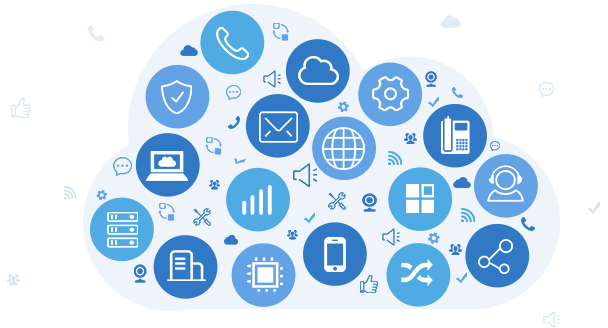 Designed for SMBs, Yeastar Cloud PBX delivers enterprise-grade communications features along with advanced UC capabilities, bringing a solid, reliable and affordable hosted business voice solution. With Yeastar Cloud PBX, all you need is a VoIP-enabled phone/softphone and you are ready to go. Your service provider performs all updates and maintenance to keep the system up to date. New users can be added at any time as needed. Most service providers charge on a simple per-user basis so that you only pay for what you need and have a system that grows with you. 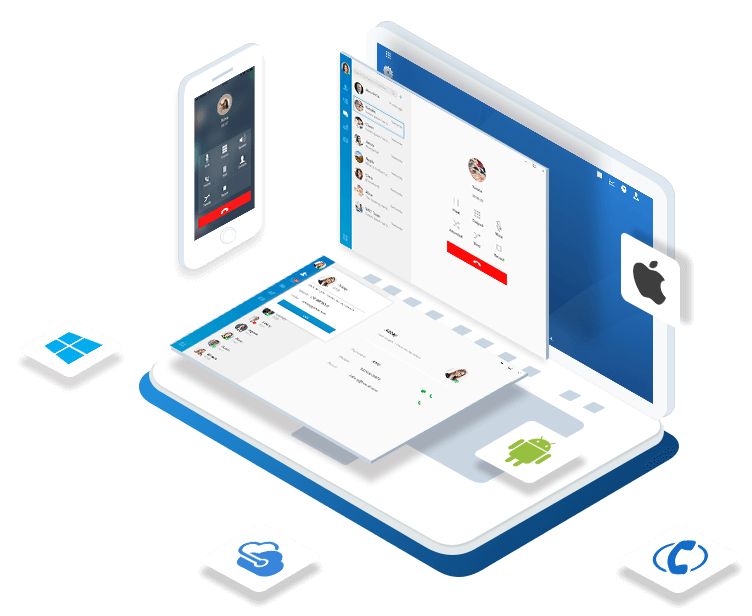 With Linkus App, your Windows desktops and iOS & Android mobile devices can work as office extensions with all phone system features accessible. 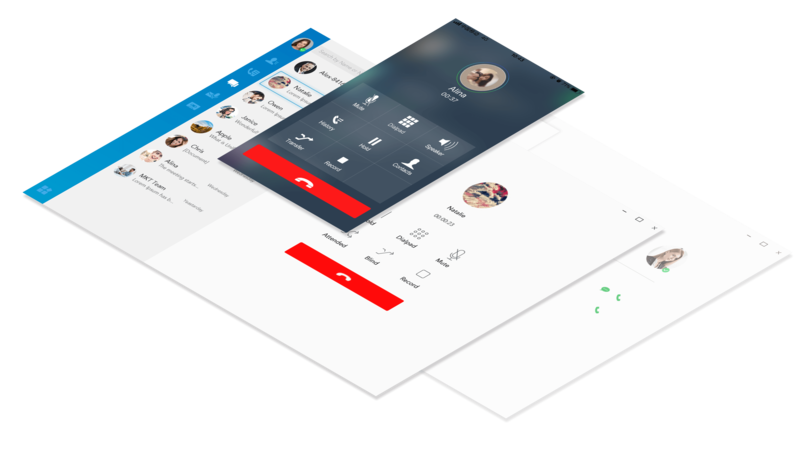 UC features like presence, instant messaging, CRM integration, conference and unified messaging are all at your disposal. 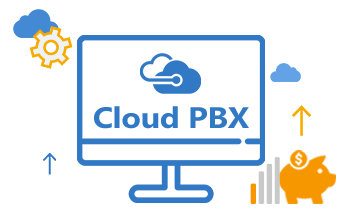 With Yeastar Cloud PBX, you are able to unify your headquarter with remote offices and a handful of teleworkers within a single PBX system, giving geographically dispersed employees the same features and continuity as in-house users.  Worldwide SIP trunks are at your choice while connectivity with PSTN, E1/T1/PRI, ISDN BRI, and GSM/3G/4G are also supported through Yeastar VoIP Gateways. Not only being able to work with mainstream IP phones, Yealink and Vtech IP phones can all be auto-provisioned in bulk.